Wild Herb Toner for Oily to Normal skin types. 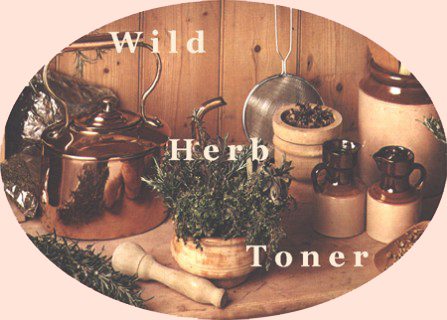 Wildcrafted's Wild Herb Toner has been formulated for oily to normal skin types. The herbal extracts and essential oils in Wildcrafted's Wild Herb Toner leaves your skin feeling fresh and invigorated. Wildcrafted Wild Herb Toner is a unique blend of essential oils and herbal extracts with a distinctive uplifting citrus and fresh herb aroma and is recommended for use on Oily to normal skin types. Rosemary, Witchhazel, Juniper Berry and Peppermint tone and invigorate, while Grapefruit, Niaouli and Sweet Orange refresh and maintain normal sebum secretion. Wildcrafted Wild Herb Toner should be used after cleansing and prior to moisturising the skin to remove any remaining cleanser and prepare the skin for the moisturising phase of your daily skin care regime. Moisten a cotton cosmetic pad with Wild Herb Toner and gently wipe the face and neck areas. There is no need to allow the skin to dry before applying moisturiser.